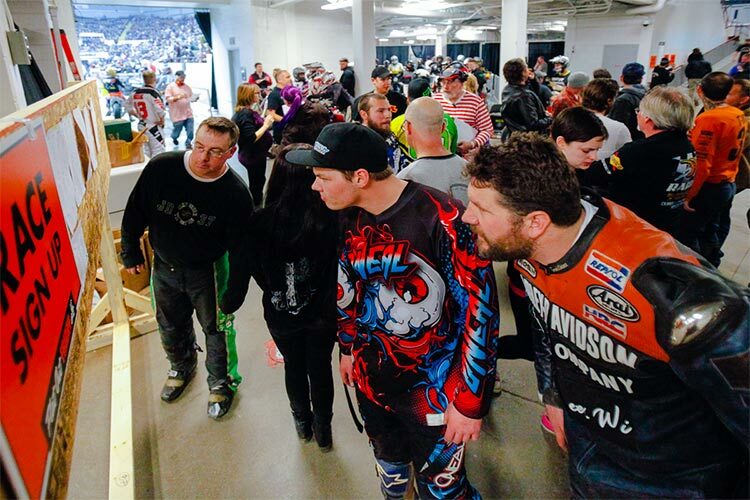 The pits, underneath the grandstands of the UW-Milwaukee Panther Arena, provide a staging area for racers and their bikes. 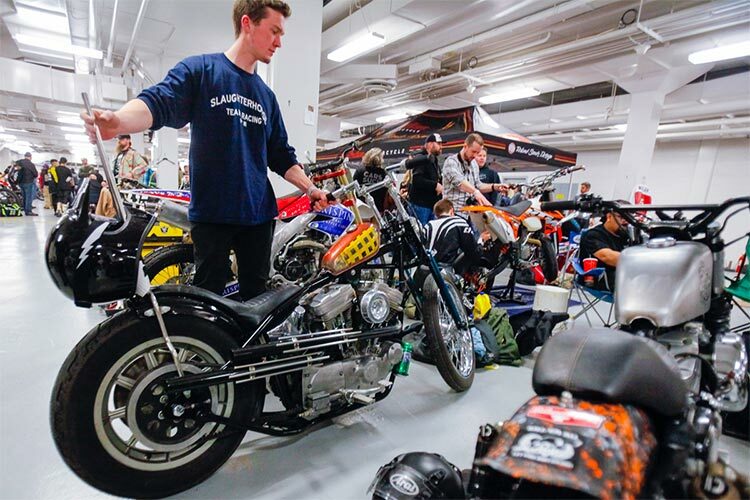 John Dunbar, of team Slaughterhouse in Milwaukee, Wisconsin, moves his motorcycle in the pits. Desiree Krahn tapes up the boot of Hayden Reitz (both from Fond du Lac, Wisconsin) before he races. Aaron and Shaun Guardado, both from Long Beach, California, work on their motorcycles in the pits. 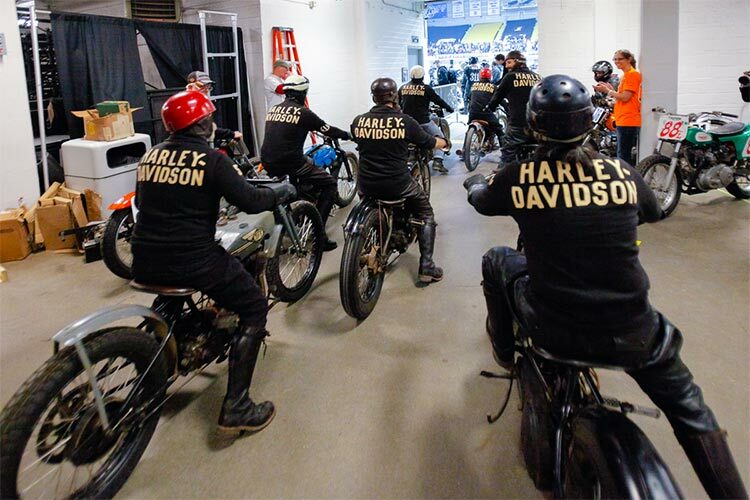 Racers wait in the pits to race their vintage Harley Davidsons. Racers at the starting line anticipate the green flag. 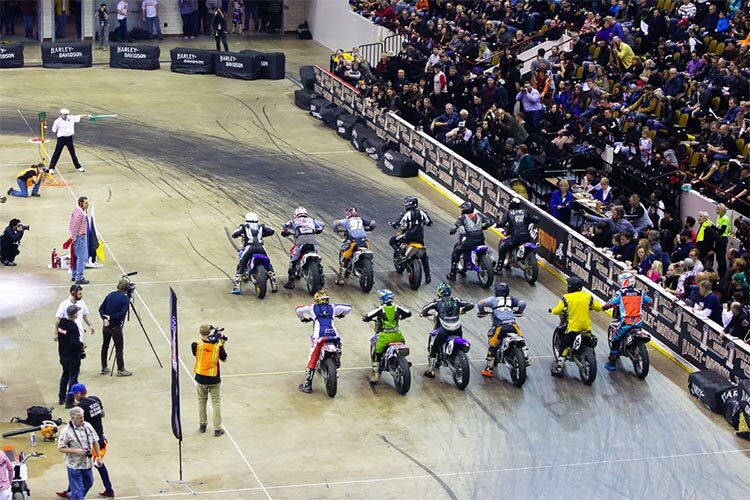 Flat Out Friday is an indoor, flat track, motorcycle race on a soda syrup surface. 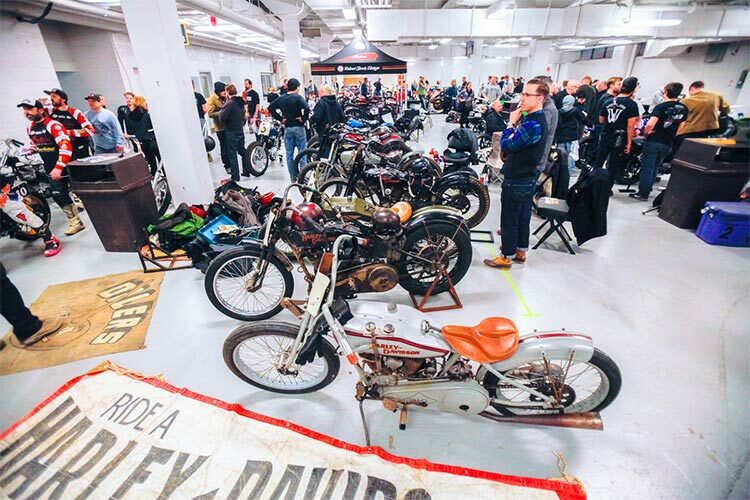 The dried syrup allows the bikes to stick to the floor for maximum traction and speed. Jeremy Prach (in white) talks to other race organizers. A racer with a tribute to the late Ian Fraser Kilmister waits in the pits. Racers race in the Goofball/Inappropriate Class. Dale Reince, born and raised in Milwaukee. Commercial photographer by day, NASCAR driver by night.